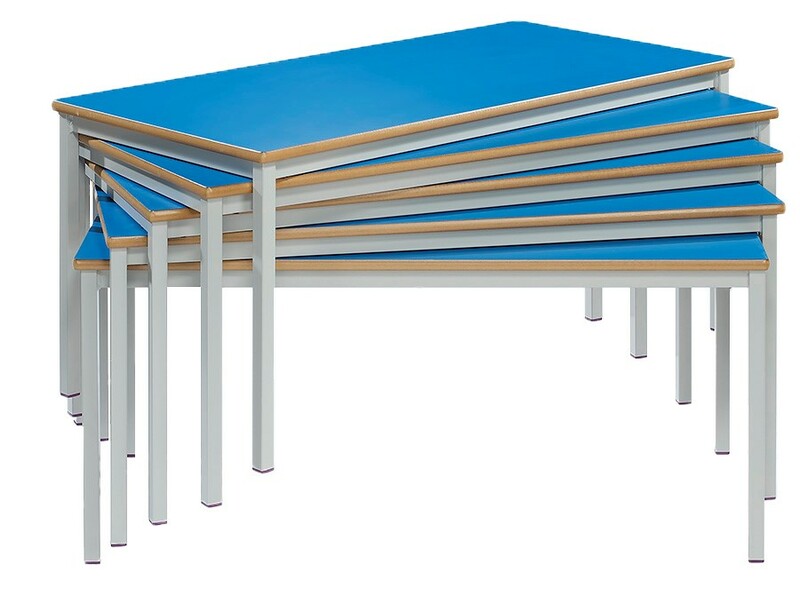 Our in stock fully welded rectangular classroom tables are supplied in packs of 4 and are available for delivery within 7-10 days. The rectangular classroom desk is 1200mm x 600mm and comes with a choice of 3 heights suitable for children aged 8-14+ years. 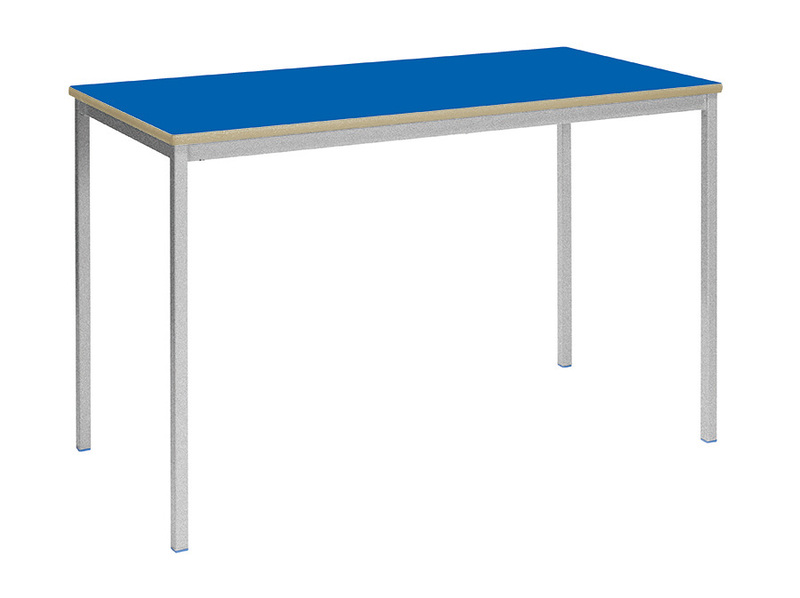 This traditional classroom table features a fully welded steel frame with a choice of a speckled light grey frame or black frame, and a hard wearing 18mm MDF top with a high pressure laminate finish. Choose from 3 Laminate table top colours – light grey, beech and blue. The rectangular table top has polished and lacquered MDF bullnose edge which is hard wearing and durable. The fully welded tables can be spirally stacked when not in use. 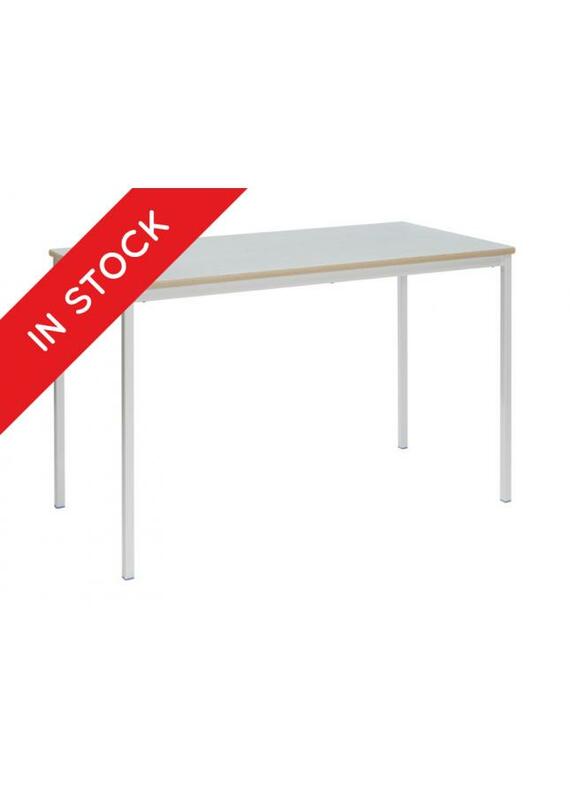 The table is fully EN1729 compliant and comes with a 5 year guarantee. 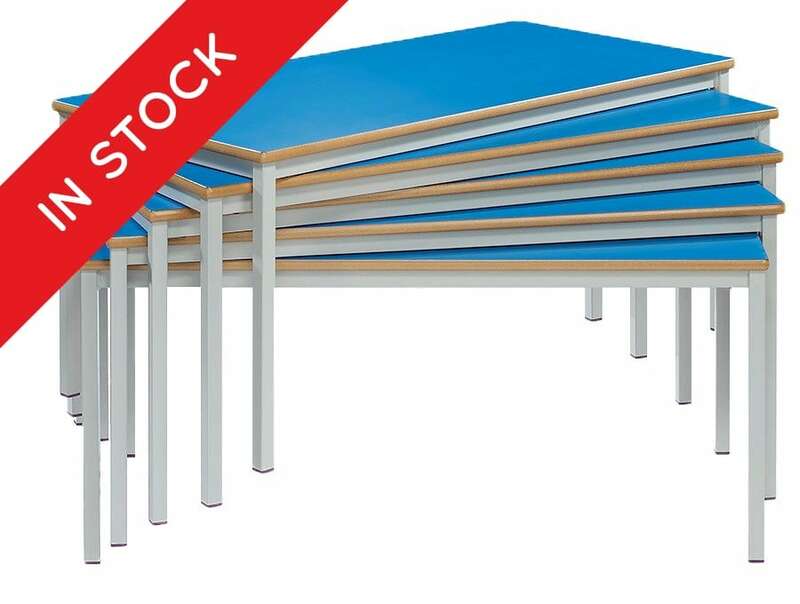 PLEASE NOTE: These classroom tables are sold in packs of 4 only. Therefore, adding a quantity of 1 into your basket will order a pack of 4 tables, quantity of 2 is 8 tables etc. For more information please Contact Us or call us on 01733 511121. 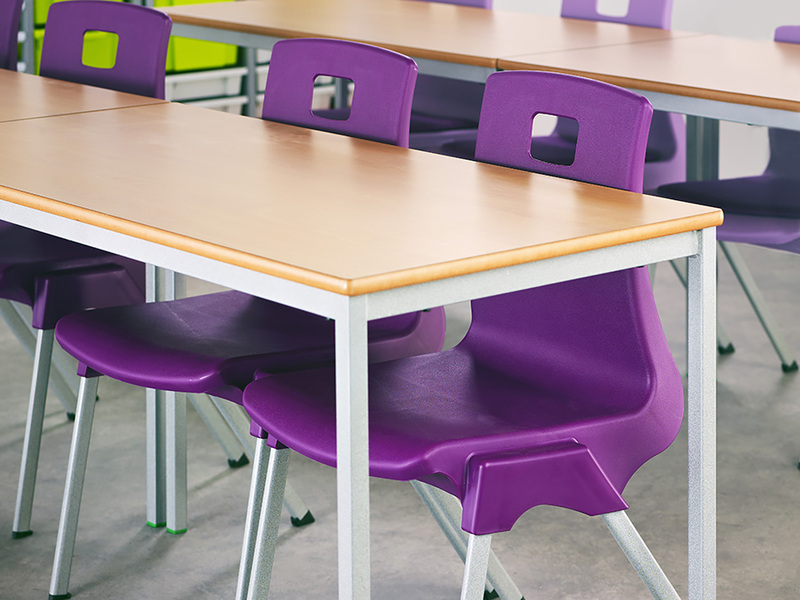 View our full range of Classroom Tables. In stock dispatched within 7-10 days. Please note: Deliveries to residential addresses for this item will incur an additional delivery charge. Please call on 01733 511121 for more information.